I can't believe I didn't hear about this show in advance. 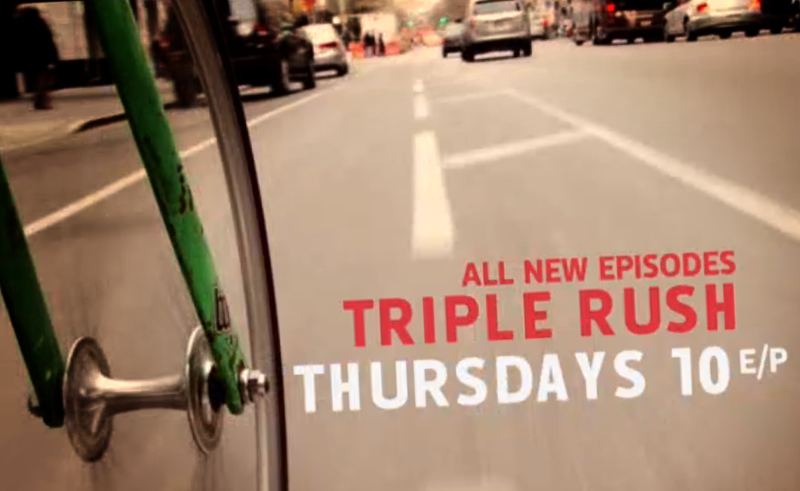 Thank goodness I was catching up on my Man Vs Food last night or I would have missed the premiere episode of Triple Rush - The Travel Channel's newest show about New York bike messengers. Catch them on Twitter and Facebook too.